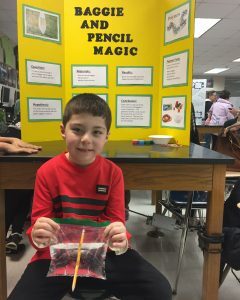 Tonight Alan participated in the 9th Annual K-12 Districtwide Science Showcase at Mayfield High School! He set up his project in the 2nd grade classroom next to De’Onta and near Xavier. 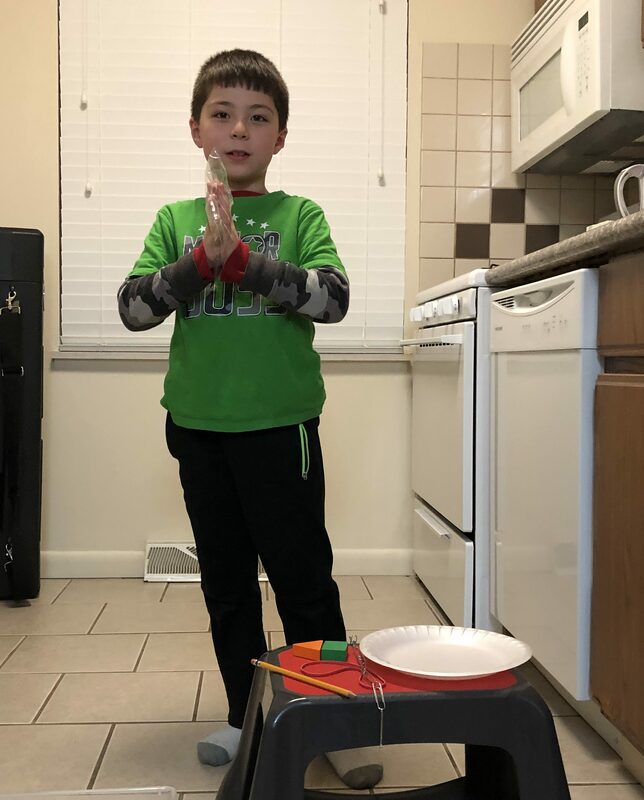 He got to demonstrate his experiment for a large group of onlookers that happened to include the district’s superintendent. 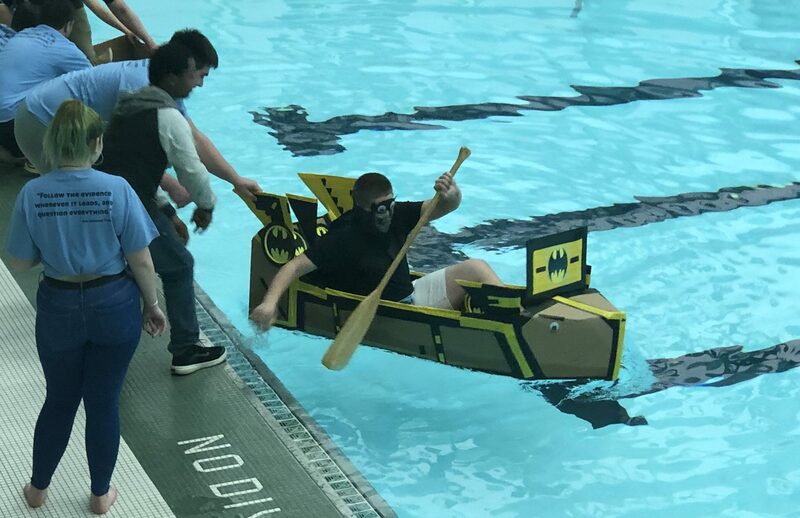 His favorite part of the night, though, was watching the high schoolers see if they could paddle across the pool in self-made boats during the Cardboard Boat Regatta. Some boats sank, but others — including the Batman boat — did not! Alan will also be presenting his experiment at the District Science Showcase at Mayfield High School on March 14th!